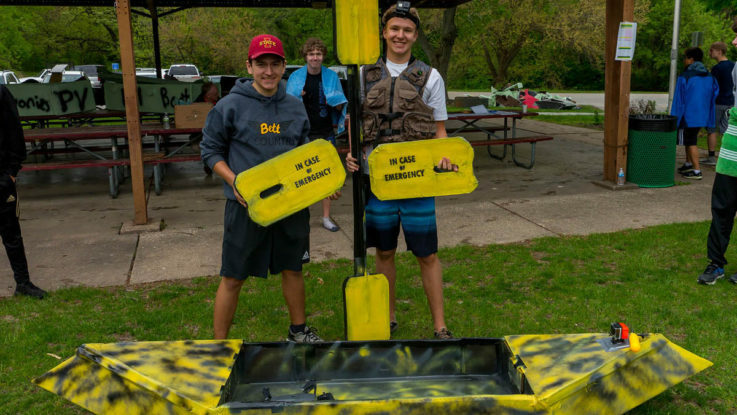 The 10th Annual QCESC Cardboard Boat Race Competition was held on Friday, May 11, 2018. The event was held at the City of Bettendorf Middle Park Lagoon. 35 high school teams from six area high schools competed along with a special adult challenge with 2 local educators. Event Challenge: Teams from area high schools will design and construct a one or two-person vessel made from cardboard. It must be maneuverable and stay afloat for approximately 600 yards. 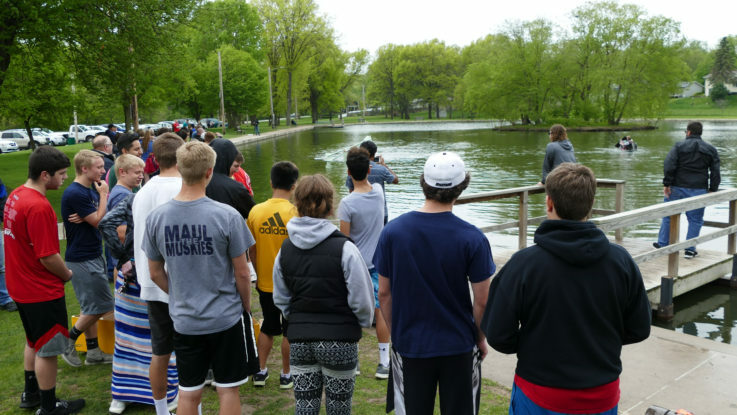 The boats will compete at the Bettendorf Middle Park Lagoon. The boats will be timed from the moment they leave the lagoon dock to the time they return, with the fastest time winning the competition. Top 3 teams based on fast time will receive one picture trophy per team and individual medals for each team member. Team with most innovative design as judged by the QCESC will receive one trophy. The competition is part of the QC High School Tech Challenge. High school teams and individuals received points from each of the 3 QC Tech Challenge events (Battle of Bridges Contest, Trebuchet Egg Throw Contest, and Cardboard Boat Race. A traveling trophy is provided to the top high school and an award to the top scoring individual along with a scholarship. Congratulations to the four teams that received awards! Thanks to our 11 volunteers who supported the event from Exelon, John Deere, Arconic, Project Lead the Way, and Collabera! Special thanks to the City of Bettendorf for hosting the event and taking care of the disposal of the cardboard and to Dan Drexler from Bettendorf High School for support! 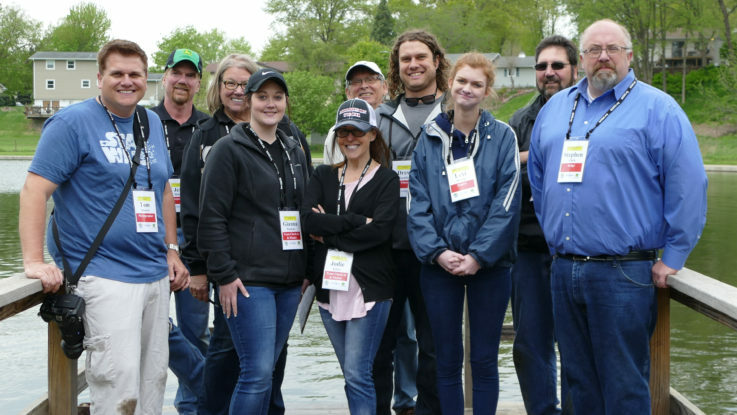 The 2019 event is tentatively scheduled for Friday, May 10, 2019. For further information or questions, please contact contact Carl Loweth, QCESC STEM Coordinator at carl.loweth@gmail.com or via phone at 563-505-1196.